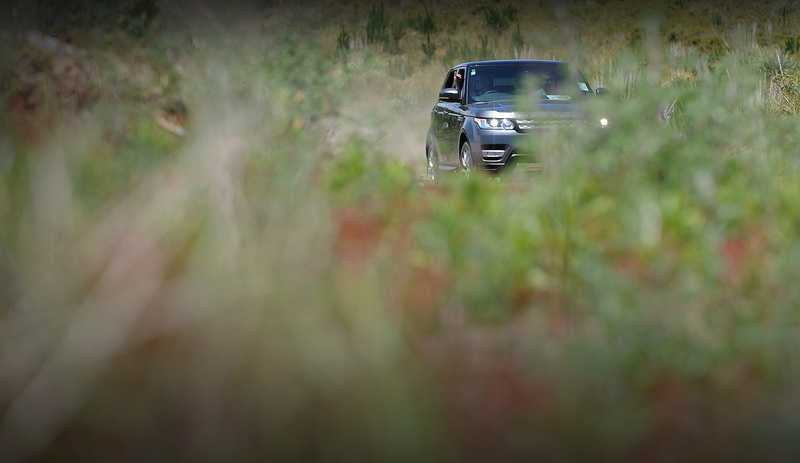 Yes absolutely... We use top of the range Land Rover Discovery cars as they as technologically advanced with less emissions and lower impact on the environment than older vehicles. We wash our vehicles with natural soaps made by local suppliers and don't use harsh chemicals to shine or wax. We use grey water to rinse our cars and olive oil to shine the leather interiors as well as olive oil on the wheels to keep them looking great. No silicone, no chemicals! We keep old bits of material ro use as washcloths. The managing director, Sharon, is a Geordie with a working class background who still applies a frugal and sensible approach to using less and re-cycling more. We do not take food in plastic bags on tour. We use handmade foods wrapped in re-useable containers and use locally sourced products. Keeping everything fresh is easy because it is collected just before your experience. We use metal flasks for filtered water rather than bottled plastic water containers. How fit do I have to be for your tours? Most of our tours do not require a high level of fitness. In fact we pride ourselves on creating experiences that cater to the more relaxed visitor looking for a stress free time. Even our kayaking is gentle - our eldest client was 75 and enjoyed it immensely. Can children go on your tours? Yes certainly! Children are more than welcome unless you have booked a romantic sunset trip with a private chef - after all that is about the two of you, isn't it? We love having children with us and make their experience as magical as we do for adults. How can I book your tours? By clicking enquire and guess what? We are real people based in Auckland, New Zealand so we are busily building our client itineraries, delivering the experiences as well as answering emails and being accountable to our customer. The majority of our tours are designed around 6 hours to give the best of Auckland to customers who are staying for a few days. The rest of our country-wide tours vary from day trips to multi-day tours. It all depends on how long you want to spend time-wise. Do you have small group tours? We run private tours so, whatever your group size from a couple to a group of twenty, the only people you will be with is each other. What do your tours cost? Tours range from around $500 per person for a day, however, depending on what you as the customer require, that can increase especially if we have several experiences designed for you or a multi-day tour experience with a range of activities. One thing is for sure - we don't do budget and promise the earth whilst under-delivering. Rather we cost out your experience that realistically covers time of host, wines, activities and the running of vehicles. Authentic and true costs mean we deliver over and above expectation, as we like to add in the little extras like a special champagne as a thank you! We like to think of it in terms of decorating a room. You pay for a cowboy and you get no undercoat, you pay for the professional and the job lasts for years. Same as our experiences, the memory is a lasting one of joy, not pain. Can I have a different departure time? Always happy to fit in with your time-frame – that’s why we're recognized as the best. It is your experience not ours, so we do all we can to make it a special one! We have a backup plan if it rains. If your stay in New Zealand allows and we couldn’t take you kayaking due to dangerous weather conditions, we would re-schedule your tour. If we can possibly go to a plan B then we will work towards that. If we are unable to provide your tour for any reason, we would work with you on a refund. Dress to be comfortable. For example, if you have a beach experience driving along the sands, you may want to jump out and take a walk. You may also want to take a change of clothing for the evening with your Private Chef, but it isn’t a requirement. Anything else, such as rugs for a chilly evening, we supply with pleasure. What is your host/client ratio? One host for a maximum of six adults. Two hosts for more than six adults. Please read our terms here. Opens a new page, so close it to come back here. We have a 100% clean safety record. We operate a safety culture that embraces the Health and Safety at Work (General Risk and Workplace Management) Regulations 2016. Persons conducting a business have duties to ensure, so far as is reasonably practicable, that the workplace is without risks to the health and safety of any person. Our workplace is New Zealand and the outdoors, so we work hard to ensure that risks are minimised as far as possible and that our customers are as well informed as possible to ensure a safe experience. Where do trips depart from? Trips depart from wherever you are. The whole point is to make your tour experience easy. We build in your collection address and drop off address and tie it in with your travel itinerary. Will I be safe on your tours? Yes, as long as you follow our guidelines and carry out our reasonable instructions. The Director of Love My New Zealand is a Mum of three young children and in her own words, "I won't create experiences that I'm not prepared to participate in myself." Everything! Our costs include all Government taxes (Goods Service Taxes) as well as all ticket prices to gain access to some of our more famous attractions, such as Hobbiton. Our costs and tours include everything you will need from equipment to food, wine, refreshments, pick up and drop off... We sometimes include complimentary collection from Auckland Airport depending on what tours you are booking with us.